Easy-Off Fume Free Max Oven Cleaner is one of the best oven cleaners, according to About.com. 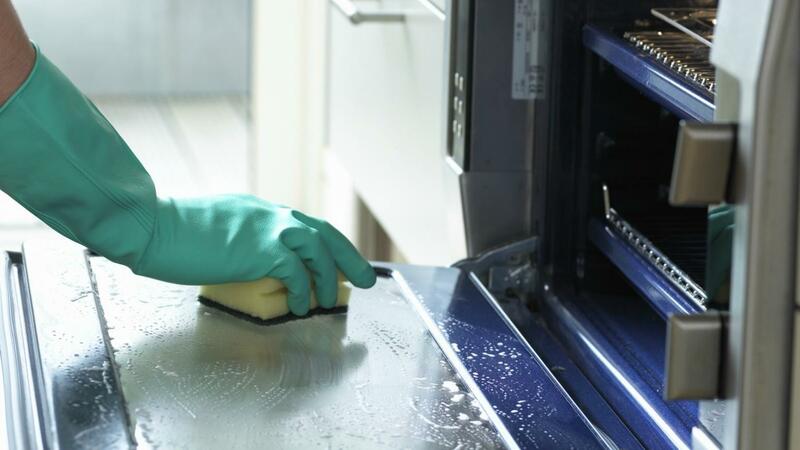 Other products included in About.com's "top six" list are Citrusafe Oven Cleaner and plain baking soda. Easy-Off effectively eliminates tough stains. The product, which doesn't have a harsh odor, can be left on the stove for an hour or overnight and is easily wiped away later. Citrus oils are the main ingredients in Citrusafe. This cleaner tackles oil stains and burned grease while providing a pleasant scent. Baking soda mixed with water forms a cleaning paste that is environmentally safe and potent enough to clean burned-on stains. How Do You Make a Homemade Brass Cleaner? What Is the Best Porcelain Tile Cleaner? How Do You Make Stainless Steel Cleaner?